TruBrain Review & Free Trial - Does This Supplement Work? 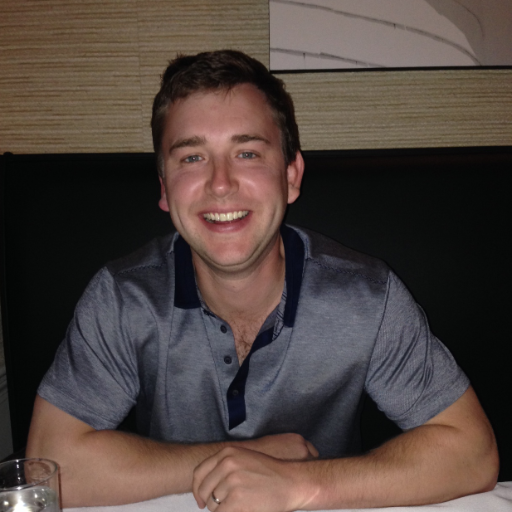 Brain food designed by UCLA-trained neuroscientists to help you think quicker, create faster, and grab more life. Sometimes people are quite smart, yet their brains are not as functional and active as they would like them to be. The great thing is that there are products on the market that can assist. Nootropics are supplements that were created to boost motivation, cognitive function, memory, and creativity. If you are interested in trying one, here is an honest review of TruBrain, one of the many options available on the market. 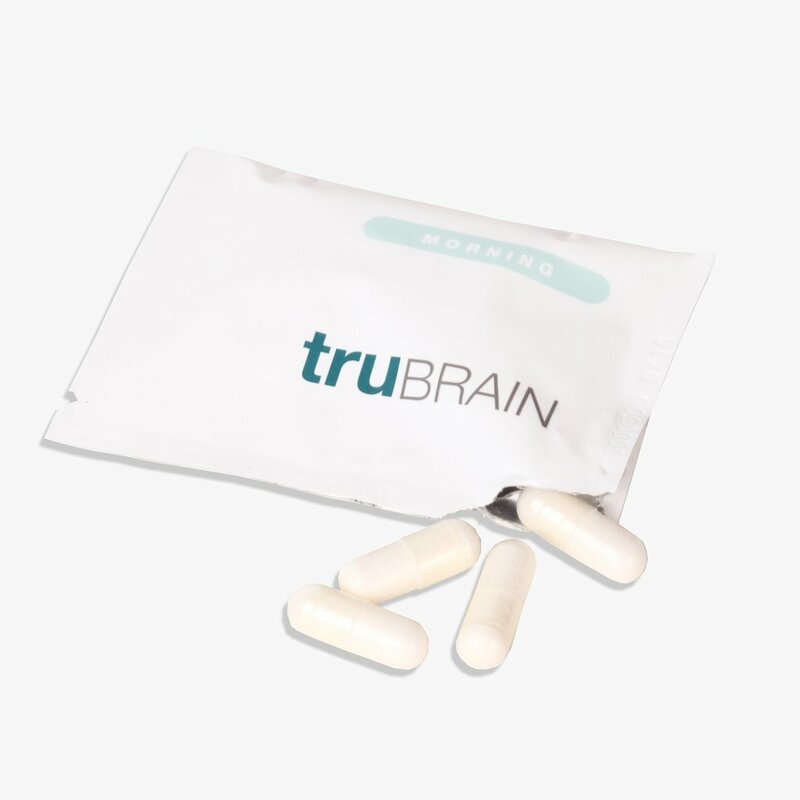 TruBrain is available in pill form as well as a liquid supplement. Each of these choices contains the same active ingredients for the most part, but the pills include algae-based DHA, which helps reduce damage to brain cells. They are available as part of a monthly subscription that includes a delivery every two weeks. Two different potencies are given in the shipments; caffeine-filled products for the morning dose and those without caffeine for the afternoon. There are also a few extra “turbo” options thrown in for those days when you need an extra boost. The pills arrive in small handy packs and the gel-like drinks are in small packs as well. This means that you can easily carry them around without adding extra weight to your bag or having them taking up a great deal of room. L-Theanine and Caffeine – The combination of these two ingredients is supposed to give you a sense of relaxation that will allow your brain to be more productive. The caffeine in this supplement makes you more alert and the theanine works hard to assure you do not receive the jitters that are normally associated with caffeine consumption. 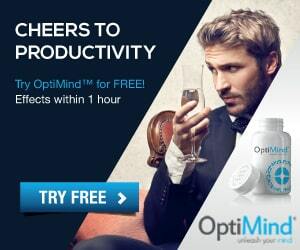 Piracetam and Oxiracetam – These are the main ingredients in the product that are supposed to boost your focus level and make you more productive than ever. 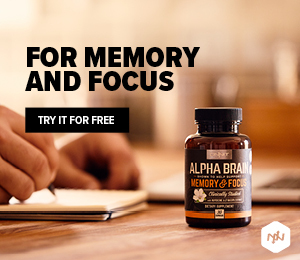 While there is no information that suggests either of these has an effect on the memory, they are clearly useful for those who are looking to be more active and use their time wisely. Magnesium – This helps control feelings of depression and reduces symptoms associated with ADHD. Carnitine – It increases your physical and mental energy levels. Tyrosine – This improves cognitive skills and reduces your stress levels. CDP-Choline – Those who need a memory boost and/or enhanced learning skills will benefit from this ingredient. Other ingredients are included, but these are the ones that offer the benefits typically associated with nootropics. 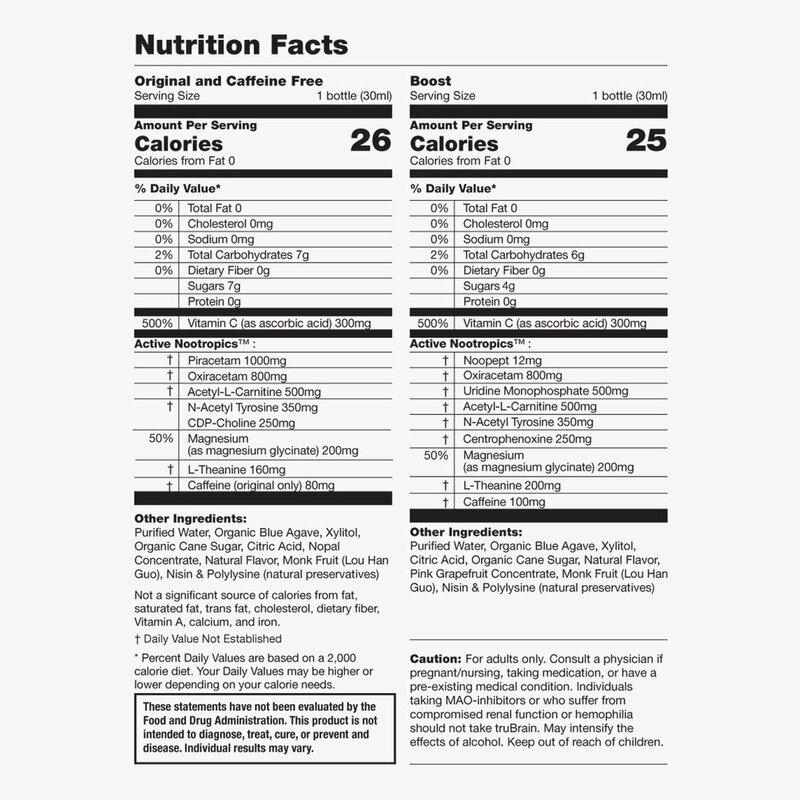 **It should be noted that this product does not contain any sodium, fat or cholesterol. It also has a very low sugar content. **There is a caffeine-free version available for those who are sensitive to this ingredient. Unfortunately, many people who purchased this product were under the mistaken impression that it would work the same way an energy drink does. They assumed that they would feel energized immediately and it would be clear that caffeine was in use. This is not the case at all. The changes are more subtle; in most cases, it is not very noticeable. 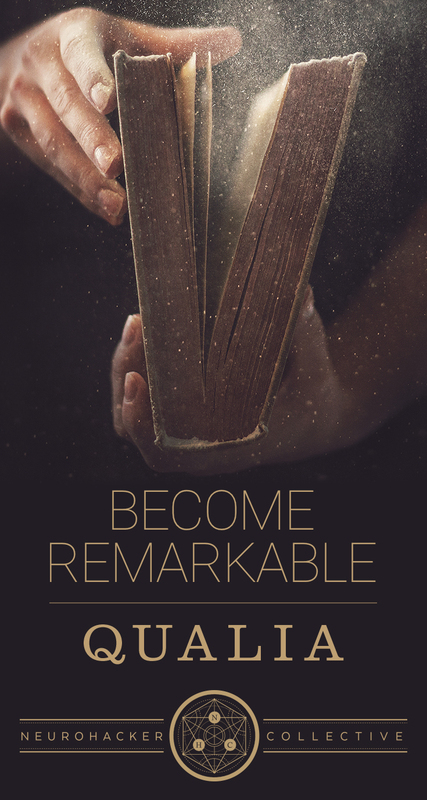 It is as simple as looking back on the day and seeing how much more you got done than you would on average. There is also no feeling of a serious crash at the end of the day like you get when consuming energy drinks. Besides the fact that you will not have to worry about the slump associated with coming down from a caffeine high, there seem to be no serious side effects reported. With that said, some people experienced headaches and/or stomach discomfort when using this. You should also be aware that this supplement increases the effects of all alcohol that is consumed. In other words, you should avoid drinking alcohol when taking this since it could be rather dangerous. When this product was introduced in 2012, many people felt it was not very palatable. The company decided to do some research and work on something that users would find tastier. There have been numerous consumers who have tried both versions and nearly all of them consider the newer version better than the original one. The regular drinks are all cranberry pomegranate and the turbo ones are strawberry banana. You are not able to choose another flavor if these are not preferable for you. 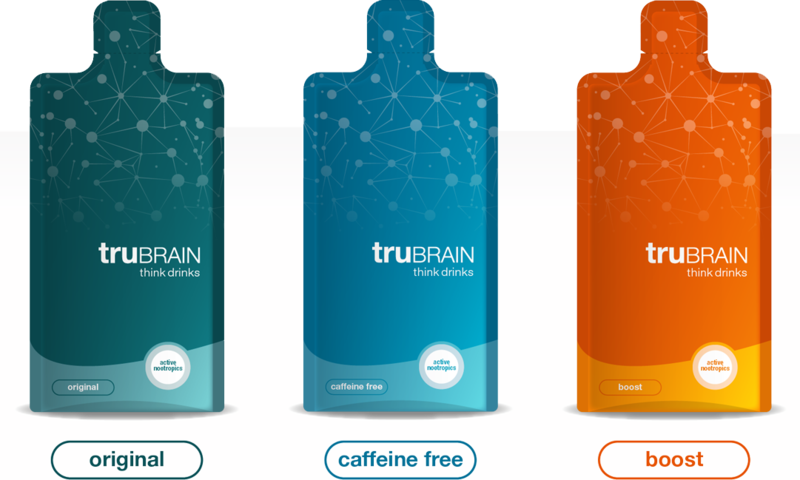 The cost of TruBrain is $125/month for the capsules or $65/month for the drinks. Each package contains 40 packets of pills or 30 drinks respectively. This is considered reasonable for some, but others believe that it is a bit high. Depending on which form of the product you buy, you will be paying around $3-4 per dose. If you are worried about paying too much for a product you are not sure about, there is a 10 drink trial pack available. This trial is normally $20. However, if you use our link below you can claim your trial for half the price of only $10. If you decide to cancel after the trial period, you will need to get in touch with customer service to ensure you will not be charged the full price the following month. While many people balk at the idea of paying too much for a supplement, others understand that the cost correlates with the quality of the product you are going to receive. 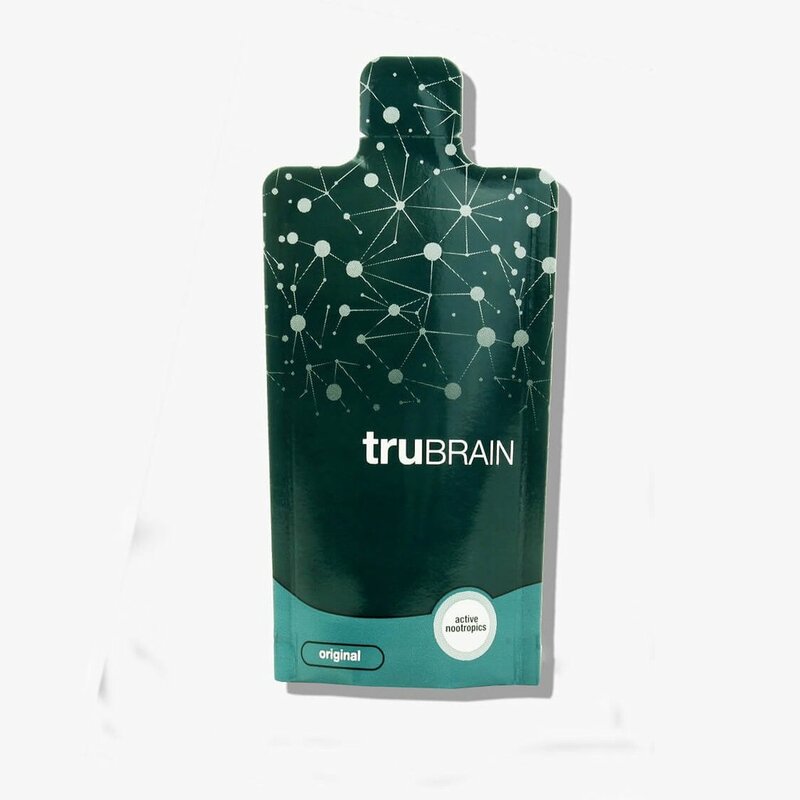 The founders are experts in the field of neuroscience and much research has been done to assure that every benefit can be offered from each nootropic contained in TruBrain. There has been consistent testing done and the formula has changed a few times in order to make improvements and provide the most benefit for every user. Some bloggers state that the product is much too expensive and could have gotten the same effects if they purchased all of the ingredients separately. This may be true, but it is not really convenient for an average joe to buy 20-30 separate ingredients and pay for shipping while trying to make sure you take the right amount of each one. In a nutshell, buying everything in this combination is a time-saver. Some people also criticized the effects of this product, claiming that they did not receive any benefit from it at all. Everyone is different, so people cannot expect to have the same results reported by someone else’s experience. Also, many of the people who were the harshest critics admitted they never actually tried the product themselves. We recommend everyone to start off with the 10 drink trial pack to see if this product is right for you. Boost cognitive function reduces stress, increases productivity and makes the brain work better than before. There are discounts available that can help you save. Created by a team of neurosurgeons. There is a trial available. More expensive than some can afford. You cannot choose flavors you like. The results are not immediate in all cases. Everyone who uses this product does not have the same results. Some swear by this and claim to have felt the effects of the product within an hour of taking it. On the flip side, there are some people who used it for the trial period and they reported they did not feel any different than they did before consuming this product. This does not mean that the product is ineffective. Results are varied and there really is no way to tell whether this product will work for you unless you try it for yourself. As far as people who experienced positive effects, it was not like a bolt of lightning hit them and they miraculously began to be as busy as a worker bee. Basically, they noticed that over the course of taking it, they were able to remember more information than usual and they noticed they got more work done when reflecting at day’s end. Since there are days when the body will feel a lull, the turbo packs will come in handy. Now that you have some insight into this product, it is up to you to decide whether you want to give it a try. It would be best if you started a trial to see if you noticed a difference, but that is ultimately your decision. There are many nootropics available on the current market. 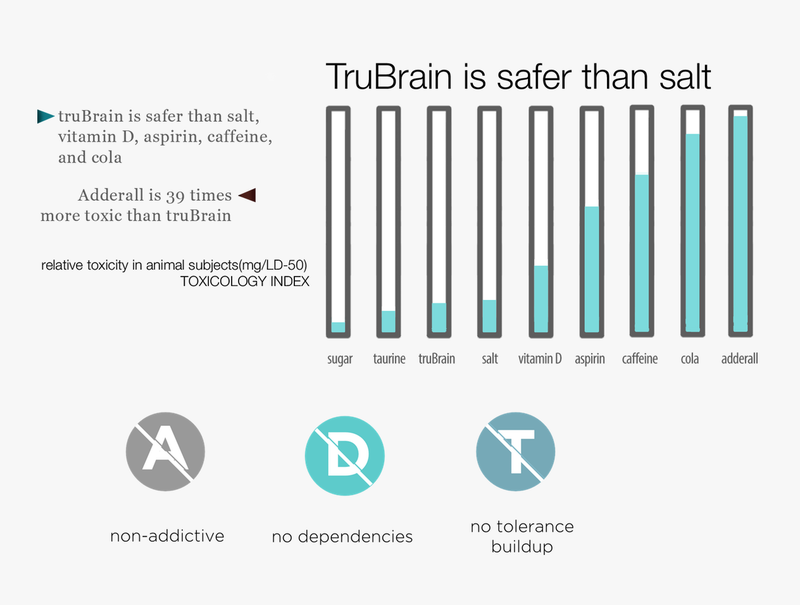 You should know enough about TruBrain at this point that it should be fairly easy for you to make an informed decision.